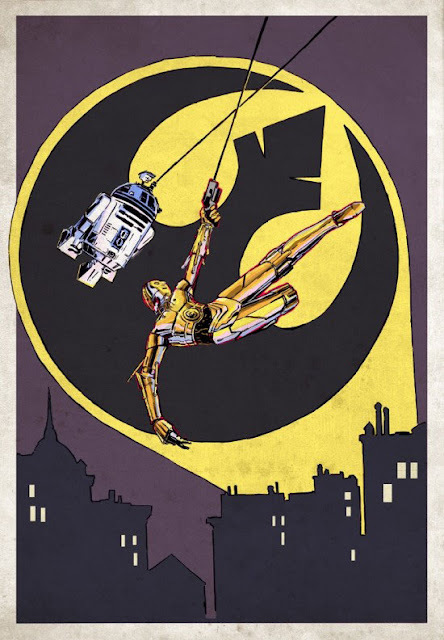 C-3PO as Batman and his sidekick R2-D2 as Robin. Awesome combo of Batman and Star Wars. Look at the Rebel Alliance insignia as the Bat-Signal.